Earlier this year our friends over at Corsair released three new all-in-one liquid CPU coolers with the “Pro” series and today they are introducing two brand new models in the “Platinum” series. The two new models are the Corsair Hydro Series H100i RGB PLATINUM and H115i RGB PLATINUM. The H100i RGB PLATINUM comes equipped with two 120mm ML RGB fans and a 240mm radiator for $159.99, while the H115i RGB PLATINUM is cooled by two 140mm ML RGB fans and a 280mm radiator for $169.99. The Platinum series is basically a new variation of the Pro series that came out in January 2018 with a handful of key changes that mainly revolve around the fans and pump head. For starters the pump and block technology used on this series is from CoolIT Systems. 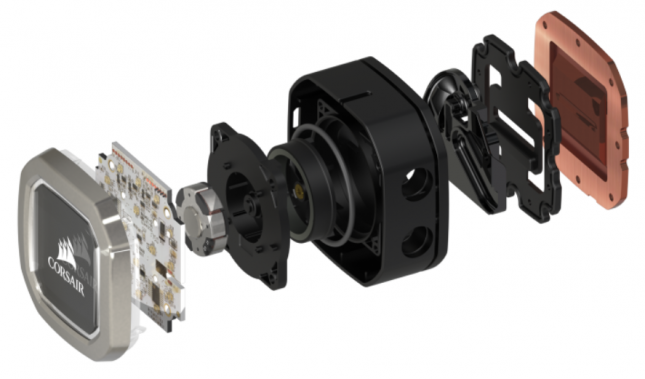 The Pro series was based on Asetek technology, so the core components of this new series are very different. 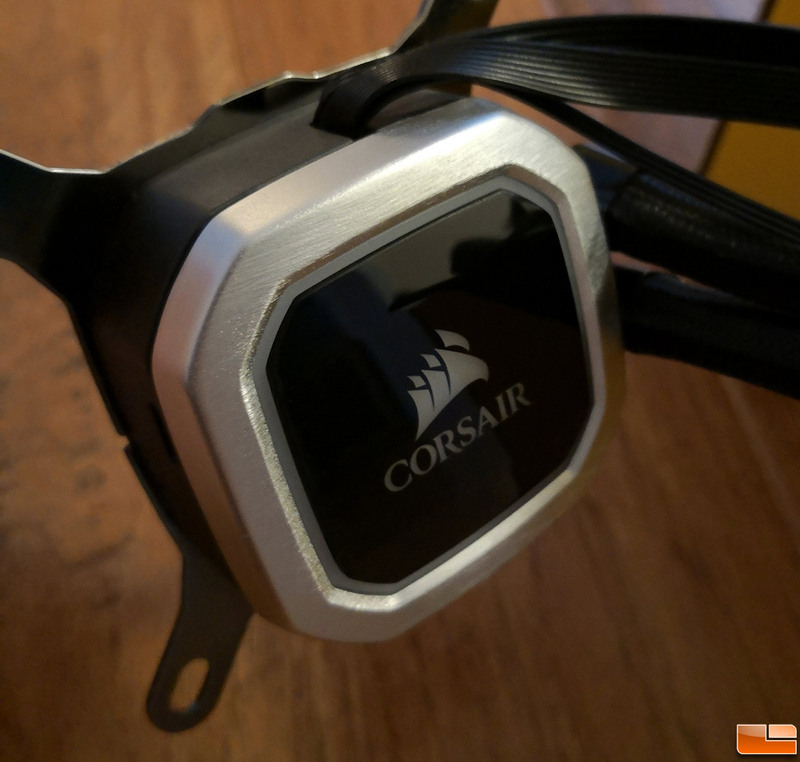 Corsair explained to us that when they designed the Pro AIO liquid cooler series that it was done so from a quiet performance standpoint for the workloads by normal desktop users. The new Platinum series takes performance up a notch thanks to fans with higher operating ranges, a new pump head design, and some minor radiator changes. 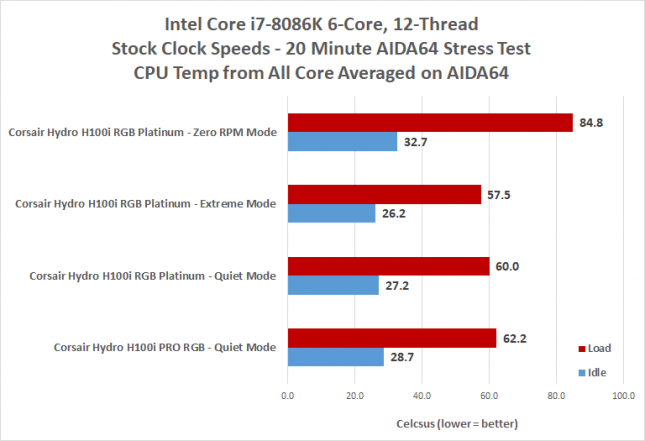 This is a good thing as more cooling performance is always welcomed as AMD and Intel keep adding more cores to desktop processors! Oh, and you get more RGB. 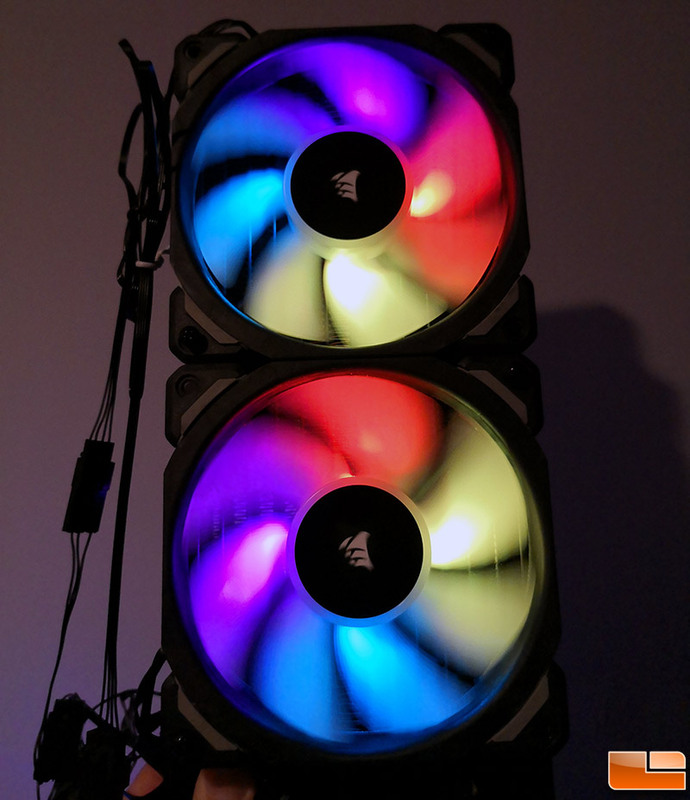 These two new models come with a pair of CORSAIR ML PRO Series RGB magnetic levitation PWM fans that have tuned fan profiles to deliver the right airflow and static pressure at all times. There are also 16 individually addressable RGB LED’s in the pump head to go alone with the four in each fan. That means there is a grand total of 24 RGB LEDs that you can control with Corsair iCUE software. 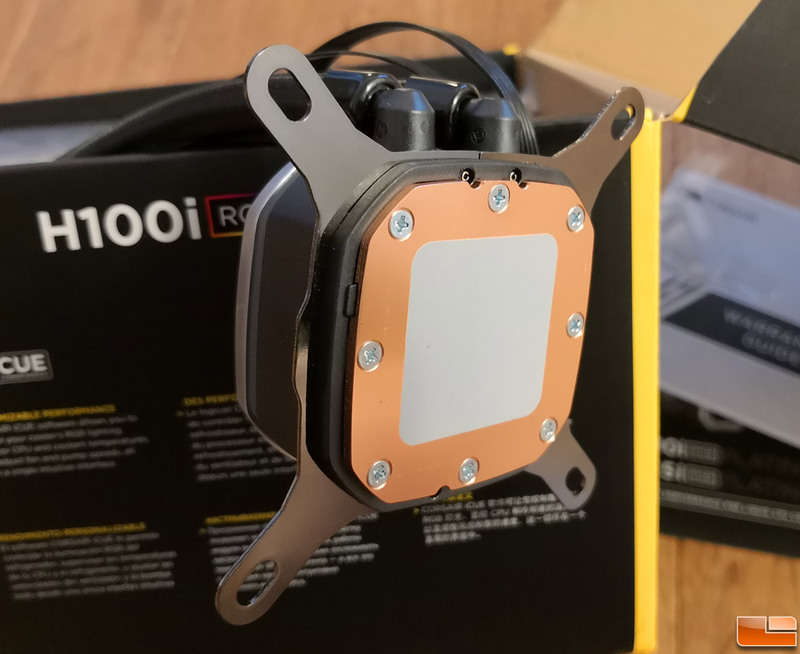 Legit Reviews talked with Geoff Lyon, CoolIT Systems CEO & CTO, and found that this will be exclusive to Corsair as they do not make desktop cooling products for anyone else. CoolIT says that they have increased performance on the pump and copper baseplate while being able to reduce the physical size of the pump head. CoolIT explained that this was done by heavily optimizing the flow path within the head unit to reduce the number of short, sharp, 90 degree turns and re-architecting to smooth ramping curves. The new design conserves momentum to increase flow efficiency and when combined with their new split-flow baseplate, the platinum line coolers deliver best-in-class performance with a near silent acoustic signature. 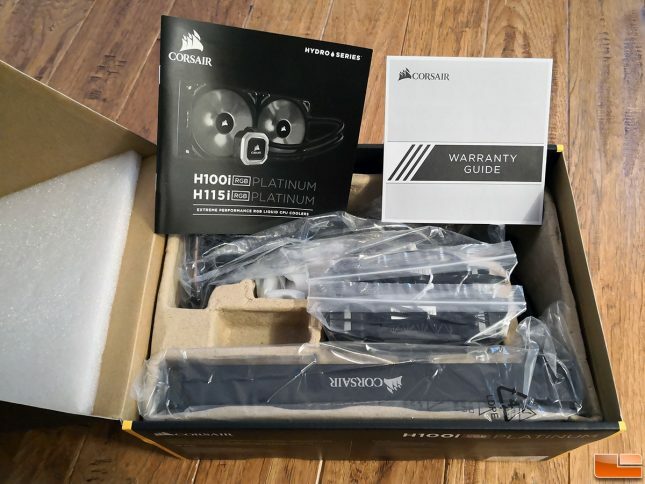 The model that Corsair sent over for us to try out was the Hydro Series H100i RGB PLATINUM. This model runs $159.99 and is backed by a 5-year warranty that includes free technical support. This AIO comes with two 120 mm fans that are capable of generating 75 CFM of airflow at 2,400 RPM. However, iCUE software has precise PWM control over the fans and the fans can be set between 400 and 2,400 RPM. At top speed you are looking at a fan noise level of 37 dBA and a static pressure rating of 4.2mm-H20. Inside the retail box you’ll find simple to follow written instructions to get the H100i RGB PLATINUM installed in your PC case. Corsair includes a wide range of CPU sockets and this cooler will work on Intel 115x, Intel 2011/2066, AMD AM3/AM2, AMD AM4, and AMD TR4 motherboards. We are going to be testing out this cooler on the Intel Z370 platform with an Intel Core i7-8086K 6-core, 12-thread processor. The Intel LGA115x bracket is already installed on the pump head, so installation was super simple! AMD users will have to switch brackets, but everything is straight forward thanks to the modular, tool-free mounting solution. We should point out that Corsair pre-applies thermal compound to the copper base plate and you don’t need to buy a tube of thermal paste unless you want to use your own brand. After reviewing AIO coolers for over a decade we no longer see a big need to dedicate time to covering installation as it really is that simple. Besides, Corsair already made an installation video and you can watch that above. Corsair also dressed up the Platinum series by including a brushed aluminum trim ring for the pump head to give it a higher-end appearance. The Pro series had a bead blasted trim ring. 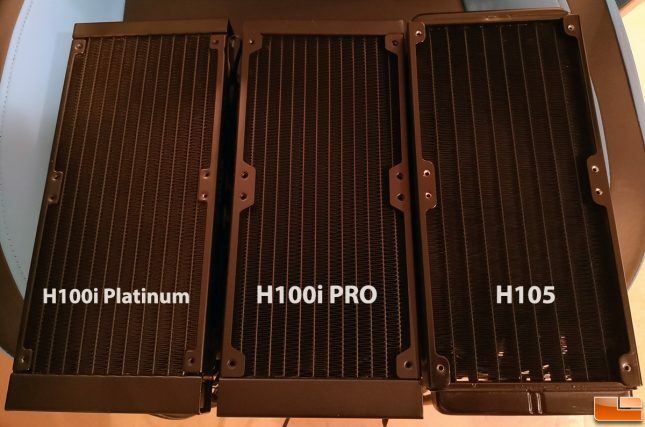 At first glance the 27mm thick radiator looks the same on the H100i PLATINUM versus the H100i Pro, but it’s really not. Corsair changed the end caps and went from 13 rows of fins on the pro series down to 12 rows of fins on the platinum series. This changes the FPI (Fins Per Inch) and likely the fan tunes that Corsair uses in iCUE. The Corsair H105 had only nine rows of fins, but had a much thicker 38mm radiator. The ML RGB fans also now feature rubber corners for better noise isolation. Gray corner caps are included, but these are replaceable and Corsair will sell you Red, Black, Blue or White ones for $3.99 per fan if you’d like to customize your fan appearance. 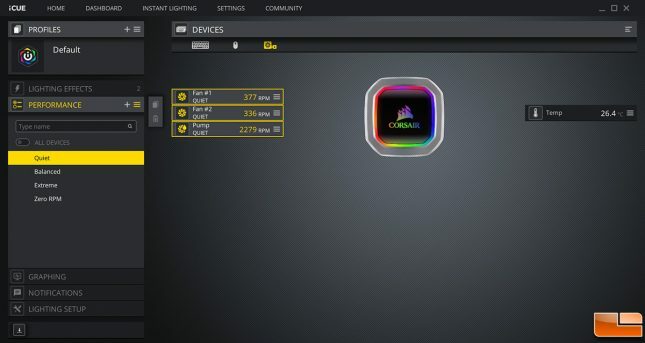 The Corsair iCUE software is optional to download and use, but we highly suggest using it. 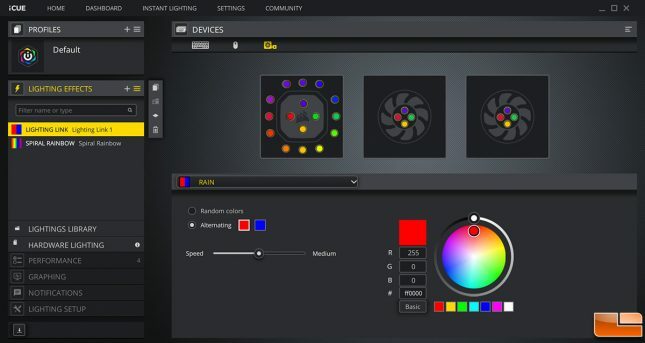 CORSAIR iCUE software allows you to control and synchronize your cooler’s RGB lighting with all iCUE compatible devices, monitor CPU and coolant temperatures, and adjust fan and pump speeds, all from a single intuitive interface. If you don’t download iCUE software the AIO cooler will default to quite mode and you won’t be able to control the 24 RGB LEDs that you paid for. Here is the menu that shows the lighting effects available out of the box. 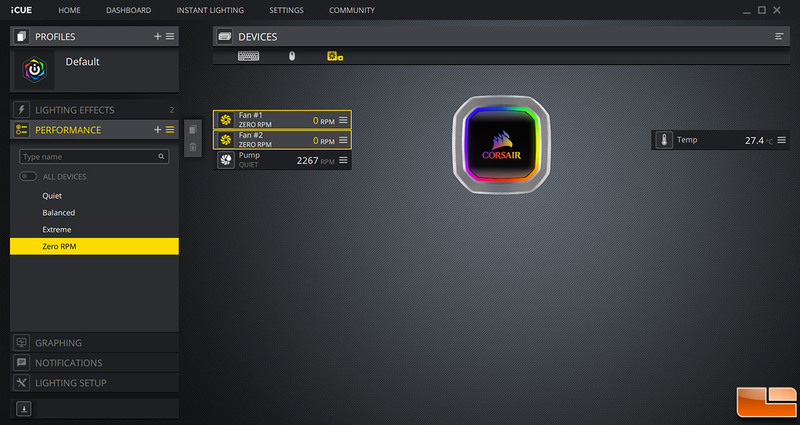 If you’ve ever owned a Corsair RGB product you’ll easily be able to navigate and setup your desired lighting effects. The Corsair Platinum AIO liquid coolers come in quiet performance mode, but iCUE will allow you to change that to Balanced, Extreme and Zero RPM. You can also use Corsair iCUE to manually adjust the pump speeds and fan curves if you’d like. You can set the pump to Extreme and the fans to Quiet if you’d like. For maximum cooling performance set the fans set to “Extreme” and the pump set to “Extreme”. For lowest possible noise set the fans set to “Zero RPM” and the pump set to “Quiet”. Be aware that the fans will only automatically spin up once the coolant temperature reaches 45°C. For good general performance set to “Balanced” and the pump set to “Quiet”. Zero RPM is a brand new mode that not all Corsair coolers have. This mode turns both fans off and set the pump to run at quite mode. This isn’t going to be a setting to use during long periods of heavy CPU use, but we found it to be great for casual web browsing and very light use. Quite mode is silent enough for our needs, but those looking for the quietest water cooler around will love this mode. 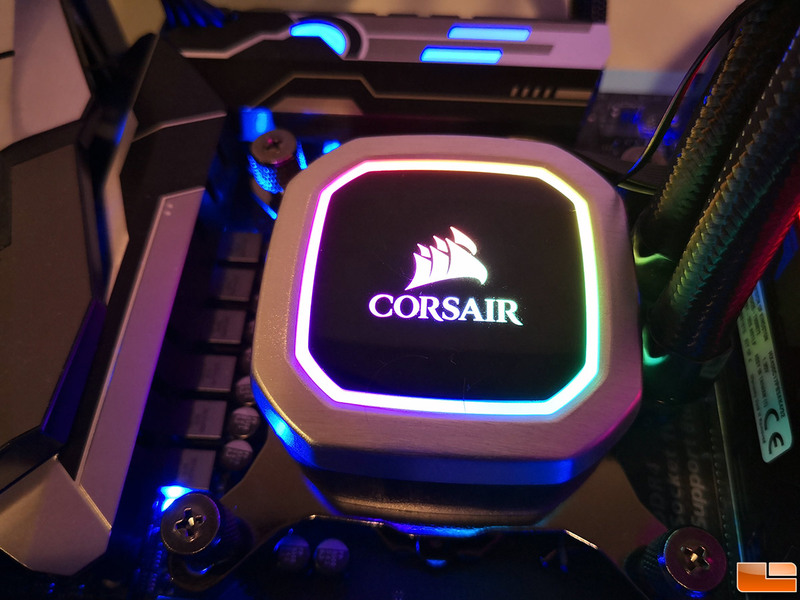 So, how did the Corsair Hydro H100i RGB PLATINUM perform? We compared it to the ‘old’ Corsair Hydro H100i PRO RGB and found that it was 1.5C cooler at idle and 2.2C cooler at load on a stock Intel Core i7-8086K processor. So, we are seeing a 4-6% performance improvement over the previous generation. This may not seem like much, but it is a solid performance improvement. Dramatic changes in water cooler performance is rare between generations! Idle and load power between the PRO and Platinum coolers wasn’t anything to be concerned about. We were hitting 44.7 Watts at idle and 144 Watts at load on the H100i PRO RGB. On the new H100i RGB Platinum we were using slightly more at 47.5 Watts at idle and 149 Watts at load. I’m sure you can thank all the extra RGB LEDs for the higher power draw! When we enabled Extreme mode in iCUE we dropped the load temperature down 2.5C lower than quiet mode, but the fan and pump noise was very audible. Zero RPM mode was nice, but after running the AIDA64 CPU stress test for 20 minutes we were looking at an average temperature of 85C across all the processor cores. The Corsair Hydro H100i RGB PLATINUM is one heck of an All-In-One liquid CPU Cooler. All the changes that Corsair did helps the new Platinum series perform and look better than the Pro series that came out at the beginning of 2018. This is hands down the best performing and most well rounded 240mm cooler that we have ever used. A big hats off to Corsair and CoolIT systems to come up with this new series of 240mm and 280mm coolers. Corsair does not have a 360mm Platinum model available right now and they have not informed us of any plans to bring one to market. 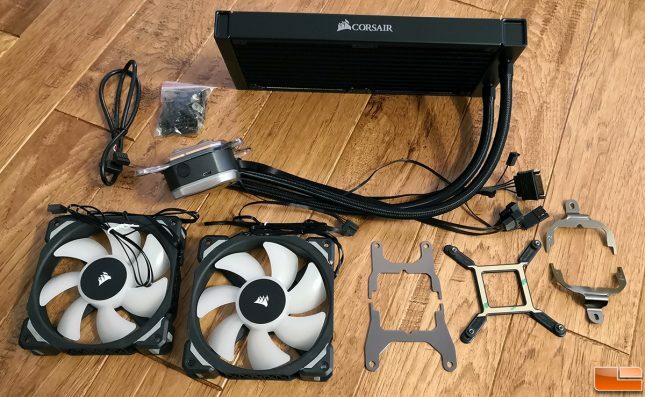 Corsair is working on an open loop water cooling kit that is due out soon, so maybe they are saving it for later. CES 2019 is just a little over 2 months away and we expect Corsair to save some products for that trade show. After spending some time with the Corsair Hydro H100i RGB PLATINUM our only gripe with the unit is that it has a ton of wires. 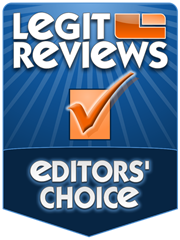 You’ll need to sit down and do some serious wire management to make your installation look professional! Hopefully Corsair can come up with an innovative solution for the wiring on future series to make installation even easier down the road. 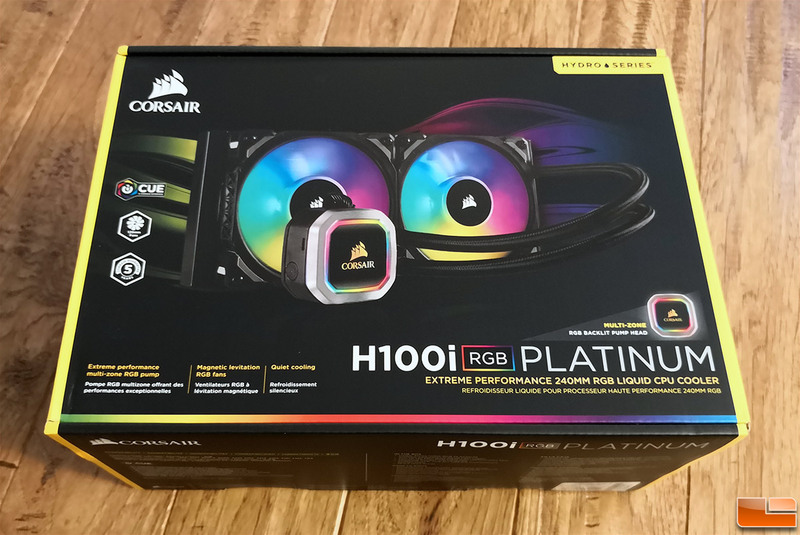 When it comes to pricing the ‘old’ Corsair Hydro Series H100i PRO RGB and H115i PRO RGB can be found on Amazon for $119.99 shipped and $139.99 shipped, respectively. The H100i RGB PLATINUM has an MSRP of $159.99 and the 115i RGB PLATINUM is $169.99. That is a significant price increase over the last series, but we were told that this pricing includes adjustments to some of the tariffs that are in place right now. The ‘old’ models on the market haven’t had their price raised due to the tariffs, so its tough to compare the two series. If the higher tariff rates go into place as expected in Jan 2019 then the older models will likely go up in price and the new models may remain the same. If the trade war ends then pricing on the new Platinum series could be adjusted down. So, just be prepared to spend a little more to get the best performing AIO cooler from Corsair and you can also blame the trade war between America and China. 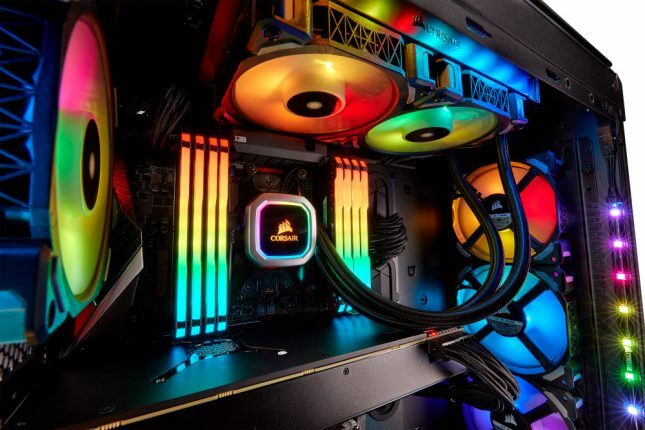 If you are building a new system today and are looking for the best performing 240mm AIO liquid cooler and love RGB lights we highly recommend the Corsair Hydro H100i RGB PLATINUM. Legit Bottom Line: The Corsair Hydro Series RGB Platinum Coolers have a number of changes over the RGB Pro coolers that were introduced earlier this year and they perform better! Don’t leave without watching a quick overview of the Corsair Hydro Series RGB Platinum Liquid CPU Coolers with George!